Charlie grew up in the 1930's in the Chester Bowl area of Duluth.  It was there that Scandinavian immigrants taught him the Alpine and Nordic disciplines, lessons he learned well and which formed the foundation for his passion and love of winter sport. Charlie was an accomplished athlete. He was the Minnesota State CrossCountry champion in 1942 and competed at the highest levels his entire life. He was a tireless champion of winter sport, coaching at Duluth Central High School for 27 years. He created a 10-kilometer trail system behind his home where many ski events were held, including the Erik Judeen Memorial Classic in 1960 and the USSA Junior Nationals in 1967. He was a lifelong member of USSA and active in promoting jumping and nordic events in the Duluth area from the 1960's until his death in 1998. His accomplishments were many, including two state championships while coaching at Central. But Charlie was not about winning championships or medals. He simply loved the camaraderie, the kids he coached, and the many friendships he made through his involvement in the sport. He especially enjoyed the young men and women he coached that had little talent but much determination. SISU. He would tell me stories of so-and-so who couldn't ski 10 feet without falling over but, as he would say, "were just plain tough". An extremely modest man who never had a harsh word for anyone, Charlie only had words of encouragement and good cheer. He made an indelible impression on all who knew him. In a cafe in a small Montana town, a waitress overheard a conversation I was having with my nephew. I had mentioned our work on the ski trail at Charlie's and she asked, " Charlie? Are you talking about Charlie Banks? He was my coach in high school!" Charlie had a saying which I think sums up his positive attitude and general good nature. He would say, "All my kids were good kids; even the bad kids were good kids". His dedication to coaching is indeed a triumph in the sport of crosscountry skiing. As a "secondary" sport in the schools, and before the sport grew in popularity, Charlie labored in anonymity. It was difficult to get funding for his team. Charlie would joke that he "couldn't get a tube of wax from the district". But in that stubborn way that made him the athlete he was, he would drive the kids out to his trail 20 miles from the school, train and coach them, eat his supper, give his athletes a cup of hot chocolate, and then drive the kids back to Duluth where he would teach night school. This occurred while he was raising his own four daughters, teaching high school, and grooming the trail. 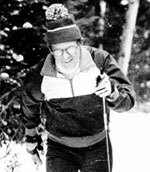 Charlie has left a legacy rich in tradition and memory: the Erik Judeen Memorial Classic race is now over 40 years old, the Korkki Nordic Ski Center flourishes on the beautiful trails he crafted with an axe and grub hoe in 1954, and a memorial fund established in his name assists cross country programs in area high schools. Charlie's lessons were taught by example more than words. He had that Will Rogers shyness, humor, and folksy wisdom. Each of us who had the good fortune to know Charlie was left a better person, and that is his greatest accomplishment and gift to us. Originally printed in the Minnesota Nordic Ski Coaches Association Hall of Fame.